With the help of accomplished professionals, we have been accomplished to present Nitgen Face Fingerprint Recognition System. NAC-5000 face is a fingerprint / face access controller , which comes with Nitgen superior own algorithm, large LCD and touch screen. It is very convenient and innovative design, it’s a market leader in access control with high value. 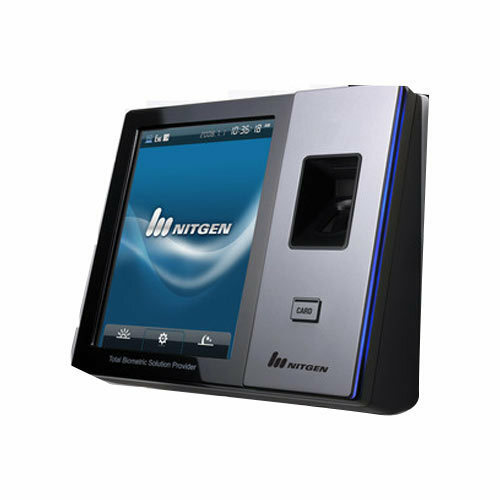 Nitgen algorithm enables to high speed authentication, NAC-5000 face is designed for large scale of security system using TCP/IP & wireless LAN. 1:1 Time < 0.5 sec. Established in the year 2011, GET Tech Solutions Private Limited is the leading Retail Trader and Service Provider of Biometric Fingerprint Scanners, Biometrics Facial Recognition Systems and much more. We have in-house Research and Development division for evolving new technologies in the field of GPRS, GPS, Biometrics and electronic identification. As indigenous developers, we are capable to customize solutions in accordance with unique requirements of our clients. Our Company has developed several innovative solutions. we also provide back-end tech support to our strategic partners.